We provide scientifically-validated assessment software and expert knowledge transfer to ensure a detailed understanding of human behavior throughout your organization. Have all of your candidates and employees take the quick PI Behavioral Assessment™ (takes about 6 minutes) to determine their behavioral pattern. Analysis will show you what drives and needs people have, what types of jobs they will likely excel at, and also help you uncover key insights into how best to manage and communicate with them. Varying positions within a company require a minimum threshold of cognitive ability, or learning aptitude, that employees need to function in a role. The PI Cognitive Assessment™ asks numerical, verbal, and spatial reasoning questions to determine an individual’s capacity to learn, adapt, and grasp new concepts in the workplace. Easily gather useful data from key stakeholders across your organization who will be interacting with a specific role to determine the best-fitting behavioral pattern to excel in the position. The PI Job Assessment™ takes into account the specific tactical elements of the role and also considers the company culture and team dynamics. The PI Selling Skills and Influencing Skills assessments help you quantify and improve your team’s approach to consultative selling or influencing others inside and outside your organization. Having the right tools is only part of the equation. We believe heavily in the power of knowledge and have carefully crafted a curriculum of instructor-led management training workshops to ensure swift adoption and direct ROI from The Predictive Index® across your entire organization! How much does PI cost? Costs vary depending on how many employees are in your organization, product configuration, number of workshops, and workshop attendees. To learn more about PI Software and Workshop pricing, contact us. The Predictive Index Behavioral Assessment™ is what they are known for. It’s been designed to be the most effective, simple, and easy to use science-based assessment that provides an accurate depiction, or pattern, of your core drives, and therefore insight into your needs and behaviors. The Predictive Index Behavioral Assessment objectifies workplace behaviors so you can predict the drives and motivations of others, be a better manager, and communicate more effectively. It is a highly effective, yet simple, scientifically-validated assessment that measures four core behavioral drives. Where these drives fall creates a behavioral pattern that provides a simple framework for understanding the workplace behaviors of your people. The PI Behavioral Assessment™ is a scientifically validated, free-choice, stimulus response assessment that was created through a normative sample of thousands of people. It has been investigated in nearly 500 criterion-related validity studies across almost all jobs and countries, built to the standards of the American Psychological Association (APA), Society for Industrial and Organizational Psychologists (SIOP), and the International Test Commission (ITC). 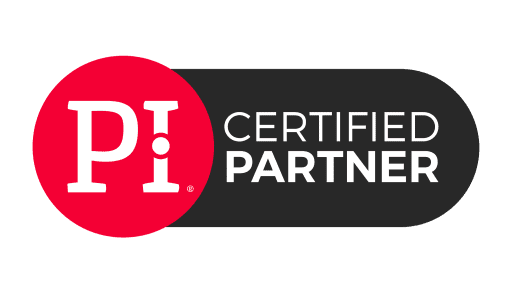 General cognitive ability assessments like the PI Learning Indicator are among the very best predictors of training success and job performance across all job levels and industries. When cognitive ability is used as a key data point in talent decision-making, the odds are greatly improved for selecting individuals who can catch on quick, figure things out on their own, and are able to meet or exceed performance expectations sooner. You can determine a recommended target score, based on the role and work environment, using the Learning Indicator Target Scoring Guide. The level of job complexity and organizational factors, such as the speed of business and structure, shape the cognitive demands of the job and are considered when identifying a recommended target score. The Predictive Index Learning Indicator is a scientifically validated measure of general mental ability, built following strict standards of test construction set by professional organizations such as the APA (American Psychological Association), SIOP (Society for Industrial and Organizational Psychology), and the ITC (International Test Commission). When used correctly, the PI Learning Indicator is a powerful and legally defensible assessment for guiding high quality talent decision-making. Learn more about the Science Behind PI or see sample PI reports. Once your skills are benchmarked, you can use our sales training workshops to take your skills from good to great! Customer-Focused Selling™ (CFS) is an effective sales training program that covers the core competencies of consultative selling. Using a highly interactive instructor-led workshop format that incorporate the your team’s Selling Skills Assessment Test™ (SSAT), CFS delivers a customized agenda to pump your salesforce with the knowledge necessary to achieve hyper-growth. Participants leave the workshop ready to apply new skills to their everyday interactions with customers and prospects. CFS workshops can be up to two days in length depending on the needs of your salesforce. A certified, train-the-trainer format is also available for companies with larger salesforce’s that will benefit from a trainer on staff. Bad sales management makes for bad sales sales teams. The ability to coach and motivate sellers is a critical sales management skill. While CFS teaches your people how to sell better, our coaching programs – Coaching for Sales Growth™ and Coaching to Excellence™ – give sales managers the skills needed to drive day-to-day performance. These two innovative and comprehensive sales coaching programs give managers the skills to work with every sales rep along, no matter where they fall. Coaching for Sales Growth is a powerhouse one-day sales management coaching workshop that combines selling skills metrics with behavioral data by using both SSAT and PI Behavioral Assessment data. Coaching to Excellence is a one-day sales management coaching program that leverages your organization’s unique selling skills metrics and SSAT data for explosive results. Both of these training workshops give your sales managers a proven four-step coaching process, advanced coaching skills, and practical application strategies. Gaining support and commitment for your ideas and goals is a critical skill needed to master any position. The ability to influence positively and effectively is a skill that can be learned and developed by anyone who wants to communicate their ideas persuasively, build relationships, and gain support from others. This instructor-led course strengthens your ability to create impact with all types of people in your organization. You learn to build consensus, motivate commitment and change, and extend your reach to deliver performances that drive results. Use the Job Assessment in your hiring process to select the ideal candidates. The PI Job Assessment is designed to capture the behavioral and cognitive requirements of a specific role, while considering company culture and team dynamics. The Job Assessment gives you a road map for the various positions in your organization, providing insight into the behavioral drives and learning abilities needed to predict on the job performance. The job assessment is taken by key stakeholders who will interact with the position. Their results create an ideal behavioral and cognitive target, which can be fine-tuned based on team dynamics & environment. Our What Drives People? workshop gives your employees the tools and insights they need to develop increased self-awareness and a thorough understanding of what motivates their day-to-day behaviors. In addition to securing a firm grasp of their own behavioral style, a workplace behavior expert PI facilitator will help them better understand their co-workers and develop an appreciation for differing drives and motivations. Our Managing People to Perform workshop gives you the insight and perspective needed to develop increased self-awareness and an understanding of what drives your day-to-day behaviors. In addition to securing a firm grasp of your own management and communication style, a workplace behavior expert PI facilitator will help you identify how best to communicate with, and manage, your direct reports. Our Attracting and Selecting Top Performers workshop provides you with the insights and tools needed to decode candidate drives, understand their needs, and predict on-the-job performance. Getting the right people on board is critical and this workshop prepares all recruiters and hiring managers for this often difficult task. People are behind the success or failure of all business objectives. Our two-day Becoming a PI Practitioner workshop gives you the hands-on training needed to realize the people problems standing between you and your business objectives. Poor performance, mismanagement, low productivity, high turnover, low engagement – all of these issues can be addressed through the effective application of PI’s human capital management methodology in your business. This HR workshop will teach you how to leverage our Require, Hire, Inspire™ framework so you can accurately define the true requirements of specific roles, hire top performers who naturally have what it takes to deliver on your business plan, and keep them engaged and inspired through the use of PI across the entire employee life cycle. Easily assess candidates and employees. Our assessment software allows you to define the behavioral and cognitive needs of a job, assess candidates’ actual drives and learning ability, and instantly see how they match up. With a deep understanding of workforce drives, your organization will never look back. Our software can be integrated with your ATS, HRIS, or CRM with ease. Generate a portfolio of detailed insights about your people that can be applied across the hire to retire lifecycle. Everyone is different. With a deeper understanding of the drives and needs of your employees, you can learn to manage effectively and get the most out of the people you work with.